Yandex.Disk or shall we call it, the Russian Google is one of the better options you can pick from. It's a decent cloud storage which competes with the western companies quite well. Yandex Disk pricing & plans come into the mid-class when compared with other cloud storages. It lacks some sharing options, has no versioning system and online support could be better. But if you ignore that and want a cloud storage that isn't accessible to the U.S. goverment agencies you've come to the right place. Read the full Yandex.Disk review down below. Yandex.Disk has a few pricing plans that you can choose from. You don't really gain any additional features if you upgrade, apart from the increased storage. In case you choose to go yearly, you will save 17% on each plan. Yandex is a company situated in Russia, you can call it the Russian Google, which it really is. It operates the largest search engine in Russia with about 60% market share in that country. If you're searching for a decent cloud storage service that limits U.S. government agencies from accessing your files, then Yandex.Disk is for you. Keep in mind that the download speeds are the best in Europe and might vary in the other parts of the world. If you already own a Yandex account you're pretty much set to start using Yandex.Disk. If not, then just make an account which takes a minute or two. The interface itself looks decent and is actually quite useful. You can search through your folders like you would on your PC, or you can click on the "All photos" or "Albums" folder which will show you all the pictures in one place. It's also very responsive. They implemented a nice feature where you can check all the changes that happened on your cloud under the "History" tab. You can choose from 3 different views of your storage. The navigating itself it's quite easy once you get the hang of things. You can also modify Office documents directly on the cloud since they implemented Word, Excel and Powerpoint. The synchronization between devices was done incredibly fast. The moment I started uploading from my computer to the internet, the synchronization began on all other devices at the same time. The upload and download times are decent, but nothing out of the ordinary. It depends on where on the globe you're situated since Yandex comes from Russia and has it's servers situated there as well. Uploads are limited to 2 GB per file on the website and 10 GB elsewhere (desktop). The desktop application creates an imaginary drive on your computer. It's available for Windows, Linux and Mac. There is also an interesting feature integrated into the desktop application which allows you to take screenshots, which can potentially remove the need of having an additional application like Gyazo. Sharing files with Yandex can be quite interesting. It doesn't offer many options like password protected files or setting up expiry dates and such. 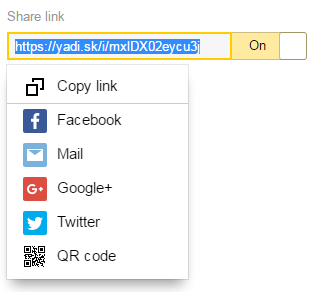 You can share your files by creating a link which you can then share with your friends via email, social media or even create QR code. 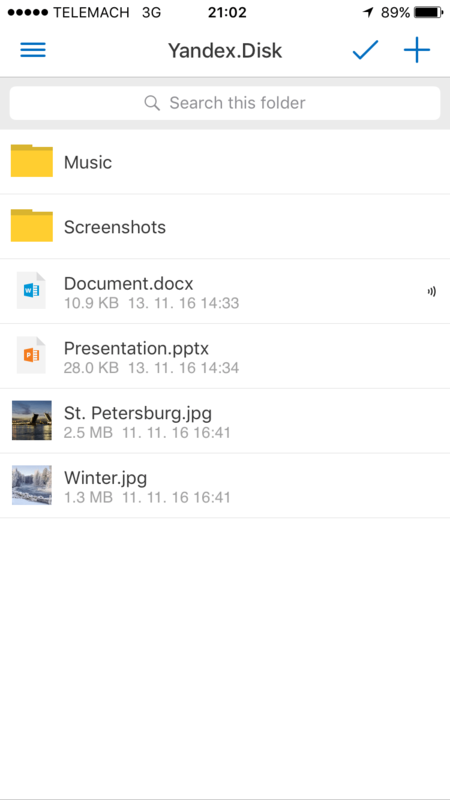 Your friend or co-worker doesn't need an account at Yandex.Disk to view the files. He will need it for editing word documents online, though. Well, he can always just download the file, edit it on his computer and send it back to you. The first option is a lot easier, though. There's also an option for you to turn off the link which stops anyone from opening it in the future. Files that you delete will be stored in your trash for 30 days after which they are automatically removed from the server. Once that happens you can't retrieve them anymore. Files in the trash still take up storage, so if you're looking to free up some space, you'll probably remove them from the trash manually. Yandex.Disk, unfortunately, doesn't offer any sort of versioning system. Yandex.Disk is very shady about it’s security. They haven’t responded to my e-mails neither have posted any information on their website about it. They haven’t provided any information about whether the files are encrypted on the server or what protection they’re using. If you’re very concious about that you have every right to avoid Yandex from this standpoint. We can only guess on how they protect our files. If have any problems will the cloud storage, your best chance is to search through their FAQ base. There's quite a bit of information there, but I can't garantuee that you will find what you need. The contact options are very limited, even their contact page is in Russian for some reason. They probably just forgot to translate it. 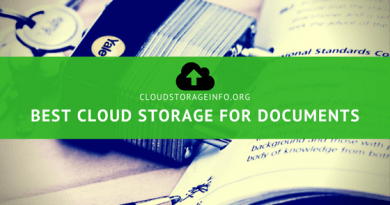 Like many other cloud storages, they implemented this feature so that you don't have to download all those documents to your computer just to edit them. Instead, you can just edit them online. Quite a useful feature to be honest. If you have an LG Smart TV television you can view your Yandex.Disk photos and videos via the special Yandex.Disk for Smart TV app. To use the app you just need to go LG app store, download it and login with your username and password. 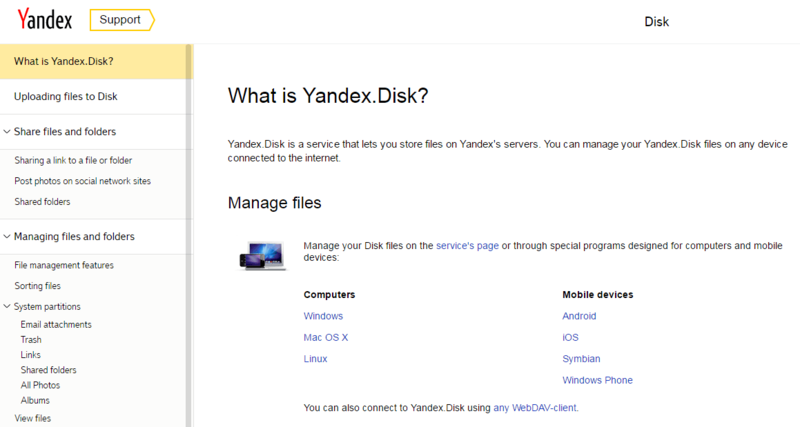 You can install Yandex.Disk on Android, iOS, Symbian and Windows Phone. The application feels very smooth on my iPhone 6s. It's nothing special but it does its job. You can activate the automatic upload of your photos if you want them backed up, which is quite useful. 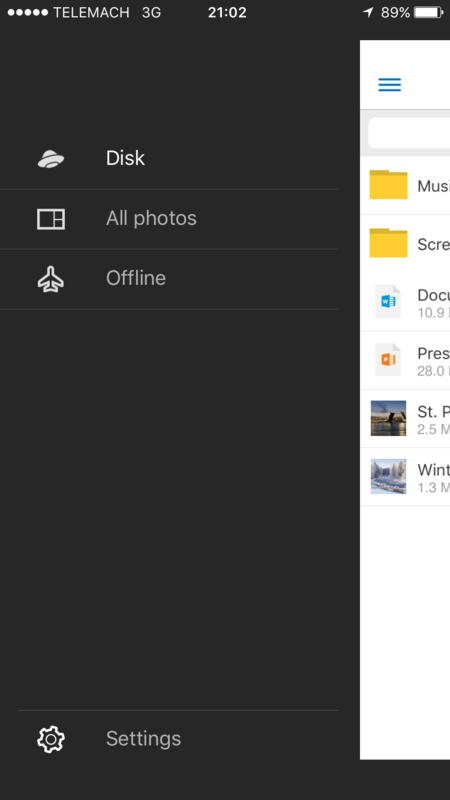 There's also an option to make some of your files available to you even when you're offline, which will take some of your phone's storage. Yandex.Disk is a generally decent cloud service. The pricing & plans are mid-range when compared with other cloud services. It has some faults like the missing file versioning system or the lack of options when sharing your files. It also lacks a bit of live support from their team. Apart from that, it's a quality service that has it's servers in Russia which means none of the western agencies will have access to your files. If that's what you've been searching for then you found your cloud service. There are obviously better services out there if you ask me. If you wish to know which services I prefer, click on the button below. 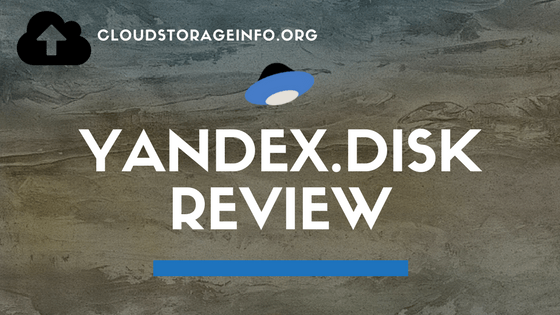 Hopefully, you got all the information that you needed within this Yandex.Disk review. If you have any questions just post a comment down below and I'll reply shortly. Thanks for sharing the site with us. I head the name of Yandex disk before but I’ve never used it in the past or knew what exactly it was. Anyways, this was a great article and really informative. I like their lower pricing plan for such storage capacity. I also appreciate the fact that they don’t come from any of the western countries and still manage to maintain such a quality product. I am using Yandex Disk for about 3 years. I think it has decent features for the users with minimal requirements. I have no experience with that cloud storage as it is completely Russian with no English translation. I would love to check it out for you but I am afraid that would be a bit hard since I don’t know Russian :/. 1TB only 30 USD/YEAR . Another thing, it have Fully English version. Hi Dejan, fantastic review rundowns by the way! keep up the good work! But this was one of the free services that really surprised me in terms of quality. outstanding. Im. currently narrowing down to just my onedrive, yandisk and dropbox. I wish pcloud had faster upload speeds because i seriously love their virtual mounted disk system which does not take up space on your laptop. When I was running the speed tests pCloud came on top, but that obviously depends on where you live. If I am not mistaken you’re coming from Singapore and I am not sure what kind of coverage pCloud has there. 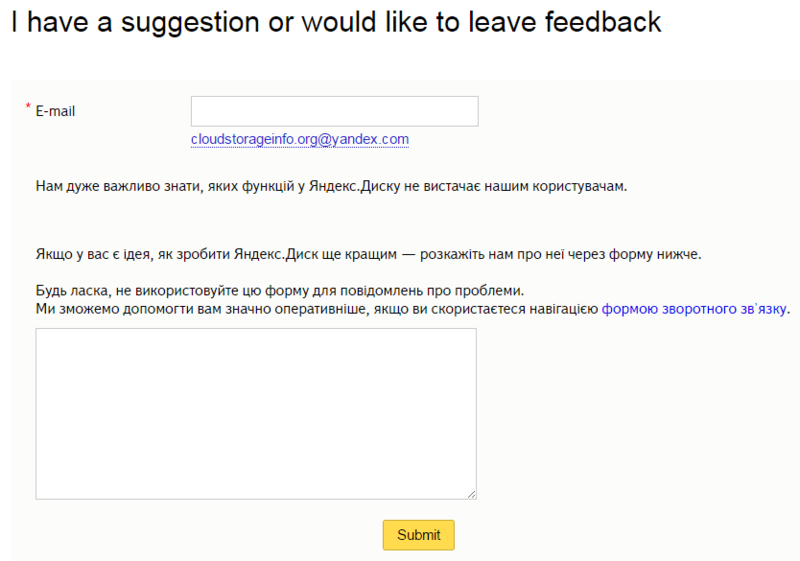 But I am glad Yandex works for you. I have a few issues with Yandex as I’ve mentioned in the review above – Security is the biggest one. 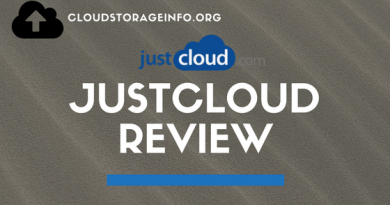 Overall, I still think it’s a good cloud service, but there are better options out there. Thank you for stopping by and let me know if you need any help. 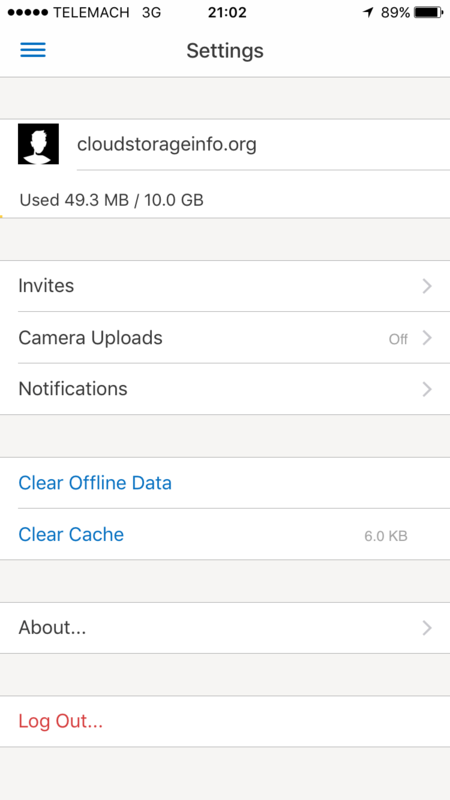 It is no longer possible to use referral system, but Yandex gives 32GB more storage until July 3, 2017 if you enable uploading files from your app on Android or iOS. Thank you for the heads up. I will update the post shortly. At present, I have not been using any cloud services as of yet as I start to look into what is available. I’m not sure if the sharing aspect would cause any problems to me at this point as I don’t know to what degree I’ll use cloud storage. I guess the main thing I would need to think about is the security aspect and whether that makes any difference or not for my useage. Check this link and hopefully you’ll have an easier time deciding what to pick. How can data stored on external party servers be 100% secure? Binfer is a better way to share data securely. It does not store data on the cloud. About cloudless sharing. While I understand that you tried to promote Binfer here I don’t agree with you at all. If you are using a cloud storage with end-to-end encryption and that your files are encrypted as well, either by you or directly by them – which pCloud offers, there’s practically no way that your data gets stolen. I’ve never heard of Binfer before, but from the first look, their website looks awfully outdated. I’ll have a deeper look into it. This looks like a decent option for cloud storage but I didn’t see any mention of security. Are your files encrypted on here or are they easily accessible by others? Overall the pricing plans are similar to other cloud storage platforms I’ve seen but the others included higher levels of security with each pricing plan. This is actually something that I forgot to mention in the review and is actually very important. The review is up to date now. Yandex.Disk is very shady about it’s security. They haven’t responded to my e-mails neither have posted any information on their website about it. They haven’t provided any information about whether the files are encrypted on the server or what protection they’re using. If you’re very concious about that you have every right to avoid Yandex from this standpoint. We can only guess on how they protect our files. yandex i heard about it before it is a search engine, but i didnt know that has disc cloud too. As i understood it is a very good thing and i will give it a try. And wow 10 gb free no one does that nowadays , and also other levels arent as much expensive. Yeh, it’s basically the Russian Google like I mentioned in the review. The prices are decent and the whole service is quite alright. There are better options that you can pick from. Check my top 10 list here. Thank you for stopping by. Hello Dejan, thats exactly a storage place i’m looking for, though I have a question about File sharing. For example, I’d like to share photos with my family, that is quite big, does yandex limit amount of downloaded files? I know that many cloud disk limit that, so it cant be abused for illegal content. If a shared file has been downloaded many times during a single day, additional downloading might be restricted. I have also contacted them through email for additional information and am waiting for their response. When I receive their answer I’ll get back to you.